Blaise Cavalli is a veteran in the blockchain technology world who recently wrote an article on Medium called, “Blockchain: Separating Fact from Fiction.” He discusses in his article on the current status of blockchain technology and its future uses that go beyond the typical cryptocurrency trend that it is often equated. However, it is more than just cryptocurrency trends since the utilization of tokens, smart contracts, and stable coins provide massive potential uses in an unlimited fashion. In fact, Cavalli’s article freely admits that the controversial nature of blockchain is in fact very similar to the rise of the Internet 20 years earlier. Instead of its earlier ideology of being a “cyberpunk anti-capitalist dream,” the Internet has revolutionized itself into a venue for unlimited thriving potential for countless industries and has become quite the opposite of these earlier sentiments. The purpose of blockchain serves as a digital public ledger, like an accounting record-keeping process. However, the ledger’s ability to record transactions and exchanges are considered either foolproof or extremely difficult to be tainted and corrupted since it is shared in the public network. Since blockchain’s inception, Cavalli mentions that there have been hundreds of implementations of “Distributed Ledger Technologies” that have explored various implementations within the blockchain environment. Platforms such as Bitcoin, Ethereum, and Ripple are a few examples that come to mind. Blockchain technology has experienced similar controversial sentiments that the Internet had in the earlier years, as well as individuals seeking an “alternative financial network” that is separate from the global economic system. However, the debates on how to standardize its digital uses in everyday life scenarios are currently being discussed on a global scale. This will be required as there have been initiatives in adapting the technology to several sectors ranging from public, financial, business, industrial, and cyber security to name a few. 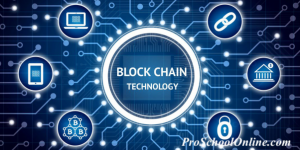 The many uses and the interests associated with it indicate that blockchain will someday become a more highly regulated environment. Cavalli is explaining this as the current world of blockchain is still extremely fragmented as the earlier platforms like Bitcoin and Ethereum mainly focused on developing themselves rather than creating a system that tackles the interoperability and interconnectivity dilemmas that make future utilization efforts harder to implement. Cavalli believes that the future of investment in blockchain is to develop and innovate technology that is capable of reducing fragmentation between platforms by making this environment more “interconnected and interoperable.” In addition, the streamlining of mass industrialization efforts will be the following step once the technology is fully innovated at acceptable industry standards. The new system would represent what Cavalli refers to as the creation of “state channels or overlapping networks to simplify the transaction validation process while building multilayer infrastructure” and there are already various initiatives being conducted by Cosmos, Polkadot, and Clovyr, whose projects are aimed at developing what he called as being “an Internet of blockchains.” This may become more streamlining as existing platforms have a growing need to improve their “interconnectivity and interoperability” with other blockchain platforms. For instance, Cavalli refers to the likeliness of Bitcoin becoming a reserve digital asset class as well as the use of tokens, smart contracts, and stable coins that are gradually being utilized in transactions made within the financial, public, and securities industries. What are Coins, Tokens, and Smart Contracts? Coins mostly represent the digital currency used in a native blockchain platform such as Bitcoin. However, coins that are regularly traded on the cryptocurrency exchanges have been typically volatile in extreme motions, which can either make or break vast fortunes within a short time span. This is why the incorporation of Stablecoins are becoming a shifting trend in the blockchain world. After all, it is considered being more stable in terms of having a controlled or fixed value and is less centered on speculation. The key focus behind the idea of Stablecoins is that the digital currency is pegged to the prices of other assets like the U.S. dollar or Gold. The potential of Stablecoins could be a huge disruptor with the rise of digital currencies becoming more stable and controlled. This would increase reliability for businesses and individuals looking to use it more regularly for their digital transactions. In fact, this is why Cavalli suggests in his article that Stablecoins would eventually eliminate the volatility nature that is prevalent in cryptocurrencies like Bitcoin as well as sparking in a new era of digitalized fiat currencies. Digital tokens can be utilized for several other purposes on the blockchain such as transactions in business, finance, public utilities, various expenditures, and law. For instance, they can represent the use of buying and selling assets as well as performing a service or a function. The transactions that the tokens represent are logged in on the blockchain platform, which means the final physical act, such as a purchase or a service being performed is logged in and confirmed, along with the digital trail associated with it in the blockchain ledger. This can be used in countless industries and can streamline the buying and selling of securities both during trading hours and after trading hours and potentially make the financial clearing process more efficient. Other examples that tokens can be used are public utility services (energy, heat, and water), licenses and certificates, and voting processes to name a few. These are just a few examples of how tokens are utilized but the potential in the application are considered being endless. Smart Contracts are digital contracts that operate on computer code and are self-executing. The computer code of the smart contract is stored on the blockchain’s ledger and is supervised by the network, which facilitates the “ledger feedback such as transferring money and receiving the product or service.” This process is considered as being more transparent and creates a conflict-free exchange as all sides have to confirm that the transaction has occurred in order for funds to be transferred. The role of the middleman used in non-digital contracts would no longer be required and it would make the transaction process quicker, cheaper, more secure, more reliable, and with less red tape. 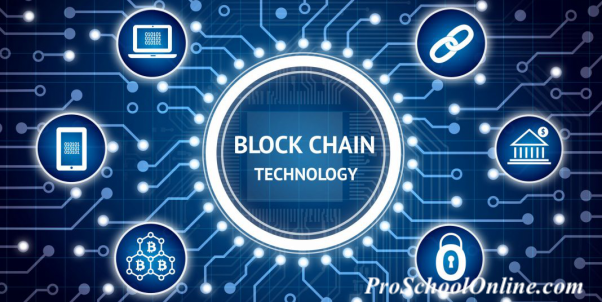 In conclusion, Cavalli has indicated that the evolution of blockchain technology is gradually heading towards the major development of a public blockchain network that creates what he called, “an Internet of blockchains.” The idea behind this would make transactions between blockchain platforms more efficient. However, he does add that the difficulty will depend on creating the standard medium and compatibility elements regarding the security and efficiency of the data transfers if this were to occur. The many uses are already being explored in several industries and it has already provided a taste of the potential impact that a streamlined digitalization process would provide to society at large. However, Cavalli also mentions that there is much inefficiency in the current blockchain environment and the necessary innovations would have to be streamlined and mass-produced in order to create an “internet of blockchains” system. In addition, there are still opposing ideologies within the blockchain world on whether fragmentation or interconnectivity is indeed in its best interests. The way blockchain and its platforms are used will be dependent on this, however, it will also rely on the willingness of industries to push forward in the mass digitalization process as well. One question worth asking is what exactly would a new standard medium in blockchain look like in five, ten or fifteen years from now and what is the likeliness of it resembling the idealized version that was mentioned in Cavalli’s article? What is BLOCKCHAIN? – Video by the Centre for International Governance Innovation – Lucas Mostazo YouTube channel.